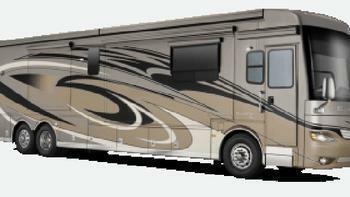 Newmar Corporation is recalling 210 model year 2012-2015 King Aire and Essex motorhomes built on a Spartan Motors chassis. A component within the starter motor may break, potentially resulting in the starter motor overheating or drawing excessive current and increasing the risk of a fire. Newmar will notify owners, and Spartan Motors dealers will replace the starter, free of charge. The recall is expected to begin August 13, 2017. Owners may contact Spartan Motors at 1-800-543-4277 or Newmar customer service at 1-800-731-8300. Newmar's number for this recall is 17012.